After several weeks of putting in way too much time at work I finally finished bargaining a contract early last week and had it ratified by mid-week. That meant I could finally take a day off from work and I chose Friday. After a couple of weeks of really lousy winds for migration in late April and early May the winds finally stopped coming out of the east and changed to the southwest at the end of last week. That meant that neotropical migrants were around in force on Friday. What a fortunate confluence of events! I decided to spend my day Friday birding the heck out of my home borough to see how many species I could track down for the day. I didn’t plan very carefully and didn’t spend every minute in the field. (In fact, a mid-morning high tide made this a less-than-ideal day for a real big day in Queens and stopping home for lunch and a shower and ending the birding day with almost two hours of daylight left meant that it was nowhere near a real big day.) 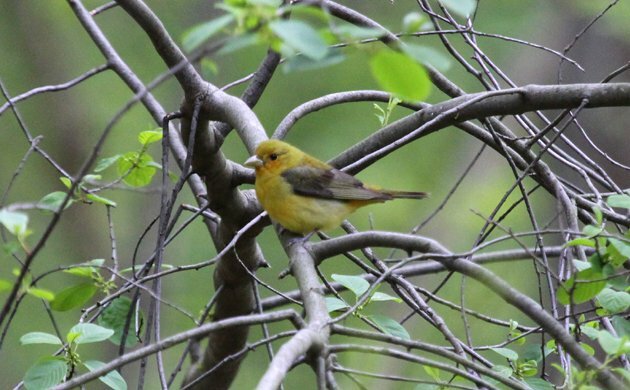 Nonetheless, I ended up with 124 species of birds in Queens in the just-over-twelve-hours I spent birding. Not bad, not bad at all. 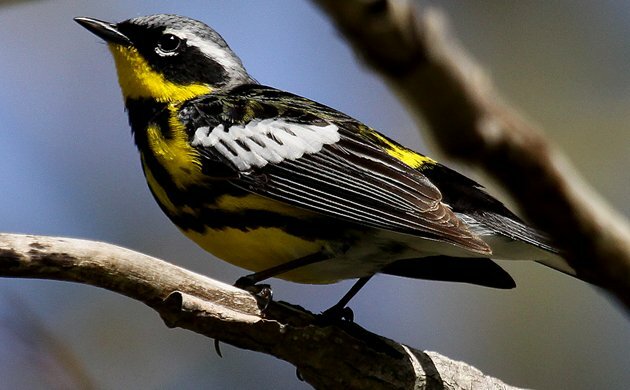 Magnolia Warblers are always a show-stopper. This one was at Edgemere Landfill. What was my route? I started at Jamaica Bay Wildlife Refuge pre-dawn to pick up American Woodcock and then headed to the coast to see if there was any flight happening. 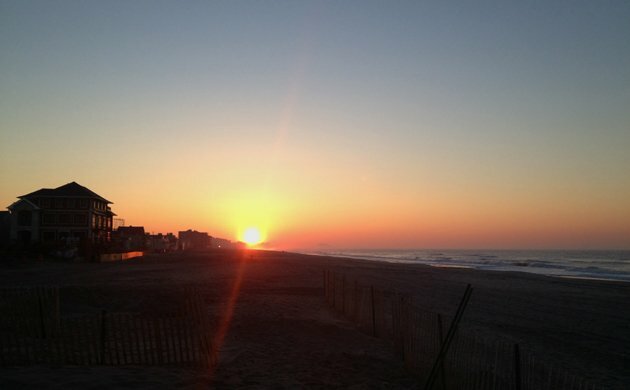 There wasn’t much of one but I did see the nice sunrise I shared at the top of this post. 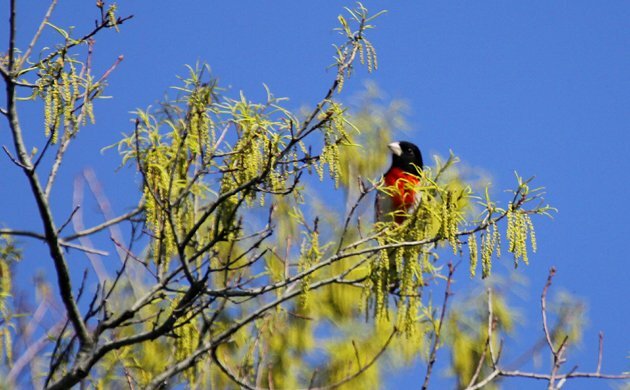 From there I went back to Jamaica Bay where I was treated to a tanager, grosbeak, and wood-warbler show in the North Gardens. After over two hours at Jamaica Bay I headed to Big Egg Marsh for high tide and a bunch of shorebirds. From there I hit up Edgemere Landfill for what grassland birds I could find and also to check the surprisingly active woodland near the entrance. A quick stop at the beach netted me some beach-nesting birds and then I did a quick tour of some woodland parks, Alley Pond Park and Oakland Lake. A stop at Alley Pond Environmental Center in an attempt to pick up some marsh-nesting birds was fruitless as was a stop at Flushing Airport where I had found several swallow species recently. Then I stopped home for a shower and some food before checking out Kissena Park and Flushing Meadows-Corona Park. Then I finished my day at the waterhole at Forest Park. Had I been doing a real big day I would have went back out to the coast at the end of the day and I also would have made sure to hit some of the wooded parks earlier in the day in order to maximize my findings of migrant songbirds. Still, any day in New York City with 124 species is a day well worth experiencing! This Rose-breasted Grosbeak gave itself away with its “sneaker squeak.” They were all over the North Gardens at Jamaica Bay Wildlife Refuge. 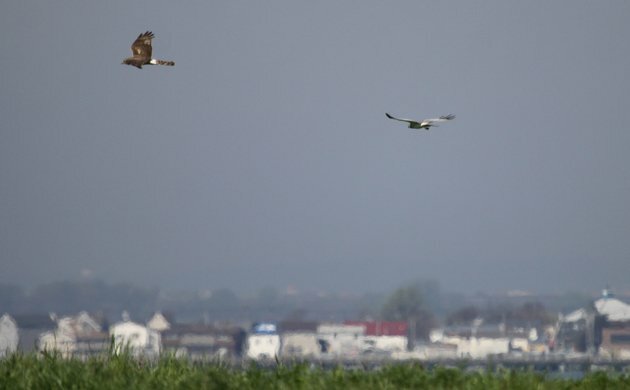 Though I have been unable to prove it, I am convinced that these Northern Harriers are breeding at Edgemere Landfill. As if Scarlet Tanagers aren’t compelling enough, this one was freakishly-colored. 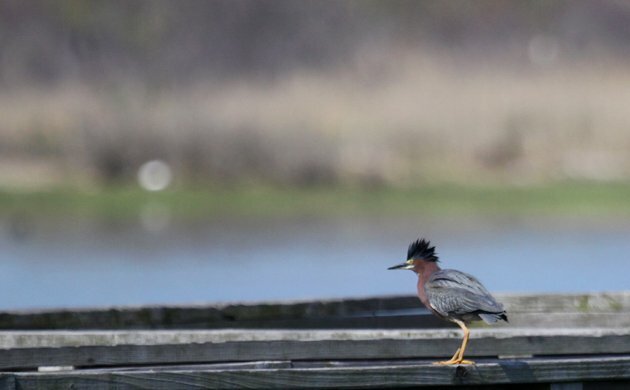 Green Herons are surprisingly easy to miss in Queens on a big day. This one was at Edgemere Landfill. 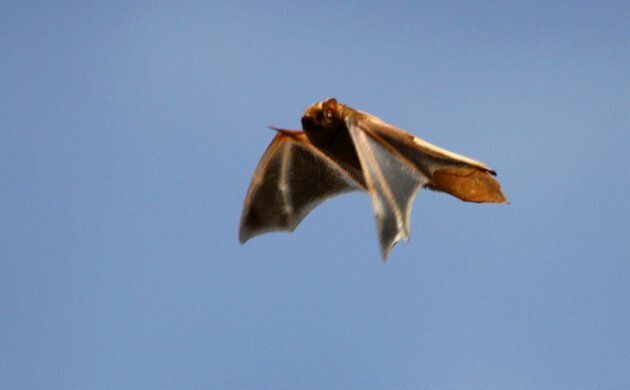 You can’t count a Red Bat for a big day but they are worth watching nonetheless. 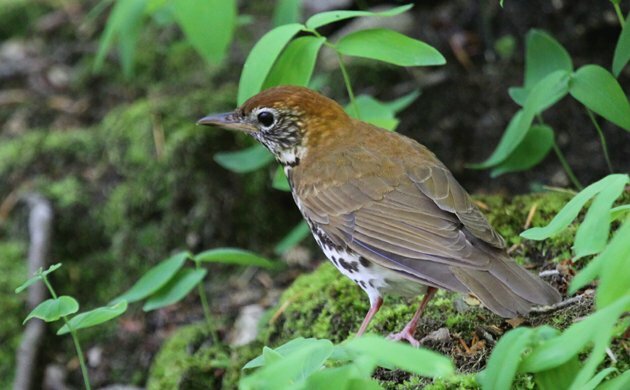 Wood Thrush are great to listen to and not bad to look at. This was one of many at Alley Pond Park. 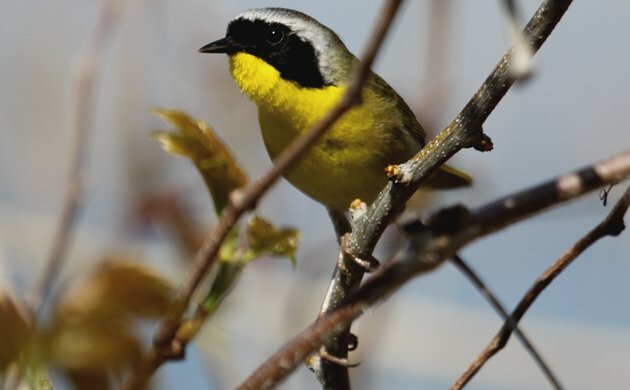 It is a good thing that Common Yellowthroats live up to their name or birders would be fighting for a good look. It is annoying that the only game bird you can see in Queens are an introduced species. It’s hard to call 124 species a bad day anywhere! 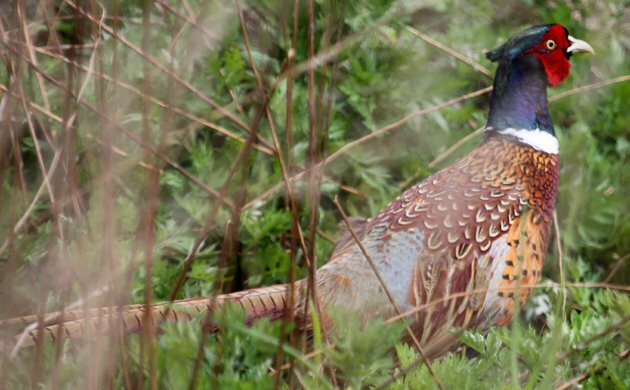 Wow, is that a pheasant? How cool! @Meredith: It is. One of four on the day. Wonderful pictures and an enjoyable blog. Congrats on your 100 + species. @Eileen: Thanks! It was a fun day for sure.